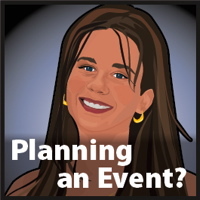 Custom portrait illustration/ invites/ sign-in art for your next event! Click below to ask me a question or send me an email. FINALLY! Our latest app is out — and it’s a FREE download!!! 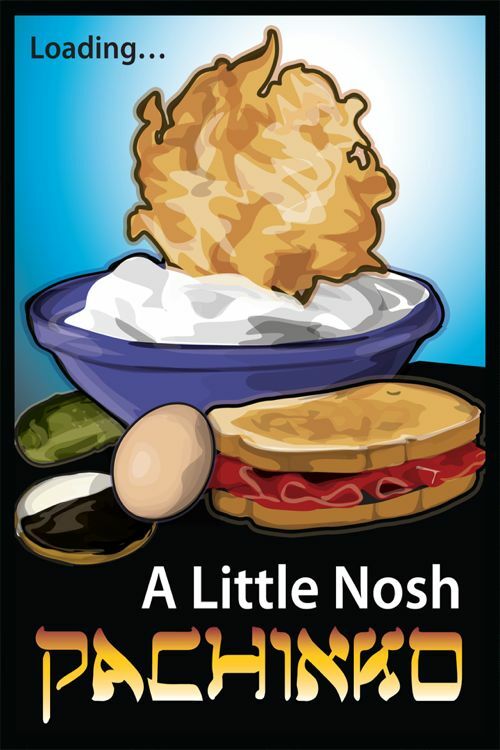 Of course, I’m always thinking in the Jewish/Yiddish style and since I’m also on weight watchers (again), I’m thinking about food ALL THE TIME right now. 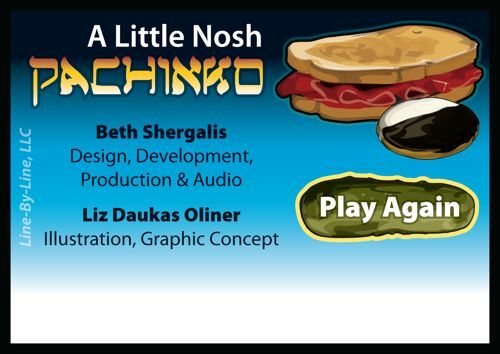 “A Little Nosh” Pachinko Game is our tribute to the Latkas, corned beefs on ryes, pickels, sour cream and black and white cookies of your past and future. 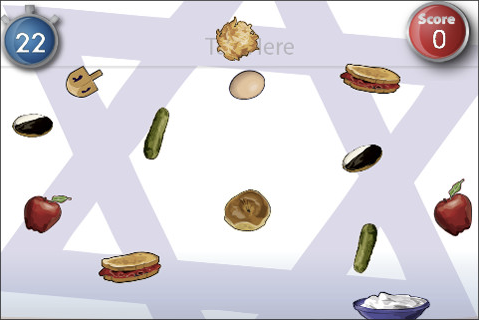 Have some fun trying to get the latkes to hit the sour cream and rack up points. The high point score in the Oliner home is 23.